You may think that Google Sheets has no need for Google Drawings in its territory. But did you know that you can easily add a drawing into Google Sheets and help give the facts or figures some extra context? So, let’s explore one more creative way to use Google Drawings 8 Creative Uses of Google Drawings You Shouldn't Ignore 8 Creative Uses of Google Drawings You Shouldn't Ignore Google Drawings is sometimes lost behind its more well-known siblings. But if Docs, Sheets, and Slides grab all your attention, the image editor on Google Drive has its creative side too. Read More today. Using a sketch or a professionally done drawing in a Google Spreadsheet can help support the data. For instance, you can use a flowchart to present the future value of an investment. Or, add a map to support some demographic data. So, launch Google Sheets. 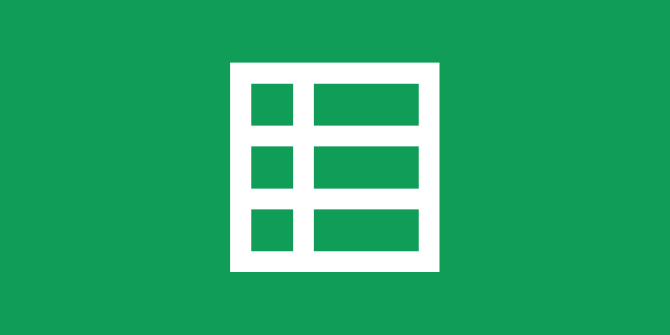 Click on Insert > Drawing from within Google Sheets. The blank canvas of Drawings gives you multiple tools to make your illustration. You can also upload an image, take a snapshot, or add it from a URL. Create your drawing with the drawing tools available on the canvas. Click the blue Save and Close button to insert the drawing in your sheet. The inserted drawing can be moved and positioned anywhere on the sheet. You can also resize the graphic by dragging the bounding handles. You can also set the text to wrap around the Drawing on all sides no matter where you drag it on the page. If you need to do edit the Drawing again, just double-click on the embedded drawing to re-open it in canvas. Do note that separate editing permissions will apply for the spreadsheet and the drawing as both are two documents. So, when you share a Google Sheet that has a Drawing embedded, the people you share it with can only view the Drawing. Unless you give them edit rights to the Drawing as well. Then, they can also double-click on the Drawing to open and edit it. The ability to add a drawing to a spreadsheet is very handy when you want to add a simple straight line to a sheet. Just use the canvas to draw a straight line and move it around to the right place in your documents.